Most of what we found was rope, twine, broken fishing boxes or crates and nets from fishing boats. Next most popular was engine oil canisters, milk & other bottle tops, food/sweet wrapping and plastic bottles. 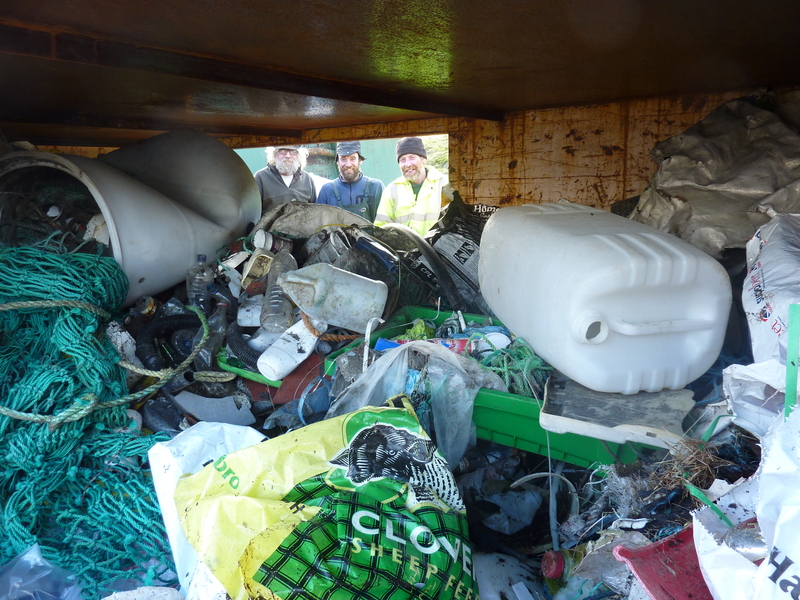 From Laig, Cowrie Shell & Kildonan beaches, we collected enough rubbish to fill a skip. Singing Sands beach is still to be done (at 24th March 2012). Because of its position, it gathers a lot of waste washed in by storms and the tide. Singing Sands will be cleared later this spring/summer. All volunteers welcome!